Aquafine uses Daler-Rowney’s unique formulation of thick and thin filaments, tapered to a point, as well as different lengths to become a remarkable imitation of natural sable hair. This special construction allows Daler-Rowney synthetic brushes to outperform all other synthetic brushes in point and stroke, and guarantees that the brushes will not split. They have excellent shape retention and longer life than natural sable hair. 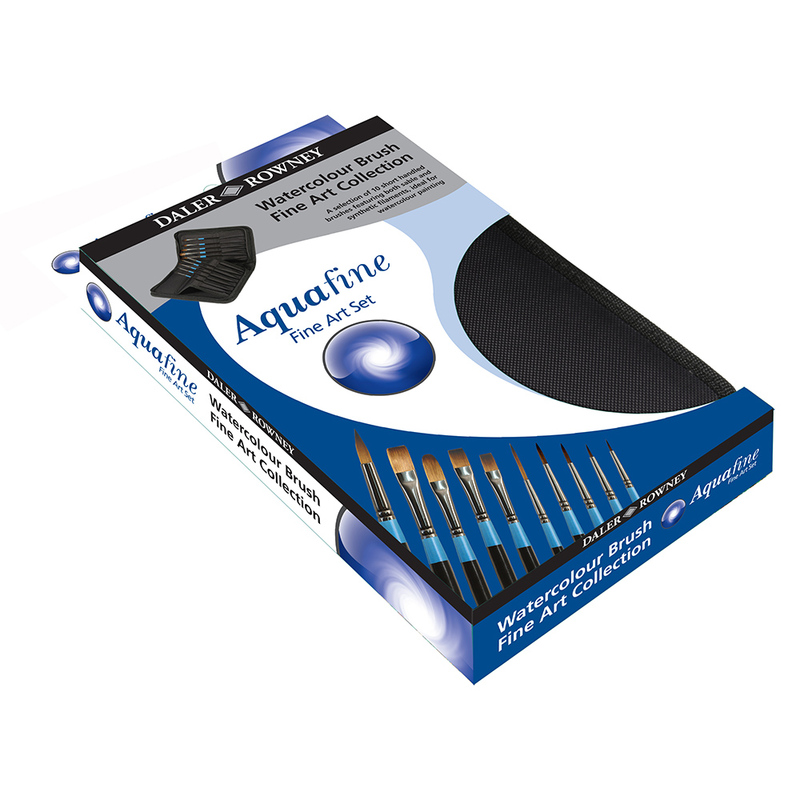 Classic - 10 x Short handled Aquafine brushes ideal for watercolour painting. 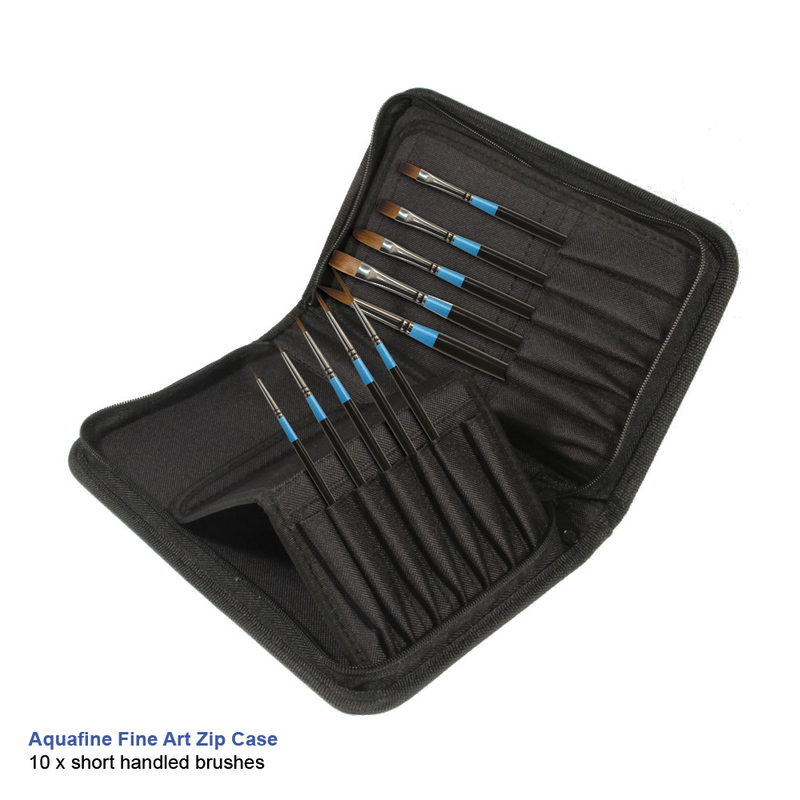 Fine Art - 10 x Short handled Aquafine brushes featuring both sable and synthetic filaments, Ideal for watercolour painting. 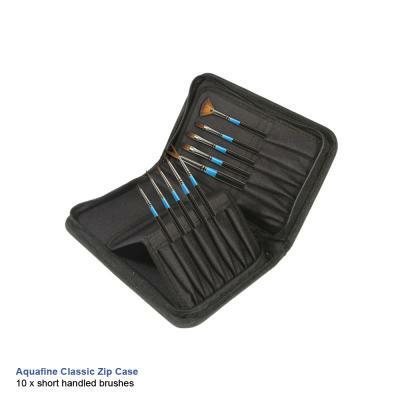 To find out more about the brushes included in each set click on the 'Contents' tab above. Short Flat - Size 1/2"
One Stroke - Size 3/4"
Oval Wash - Size 1/2"